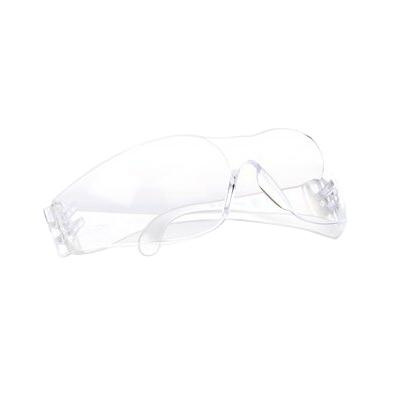 3M Virtua™ Universal size unisex protective eyewear combines style, protection and affordability to safeguard workers on jobsites. It is suitable for aviation, chemicals, construction, food and beverage, general manufacturing, mining, oil and gas, pharmaceuticals, primary metals and transportation. With wraparound design, this eyewear offers wide viewing area and ensures to complete protection to your eyes. It has contoured temples that fit comfortably and snugly without pressure points. It has lightweight design weighing less than an ounce for better comfort. A clear impact-resistant polycarbonate lenses with anti-scratch coating, absorb 99.9% UVA and UVB rays. Eyewear is ANSI Z87.1 safety standards.